LJ is a very loving, caring and wonderful teacher/caregiver. Before she opened her daycare she worked for me in a home preschool and the children loved her. She is conscientious, loving and enjoys every minute with the children. I would leave my child with her anytime and know that she/he is being cared for with the utmost care. Lj has always been an awesome and very organized baby sitter. My twins loves her to death. They never come home unhappy. My twins’ days were always loaded with so much fun and educational activities. Both of my boys have developed a wide vocabulary since Lj took care of them. I would highly recommend her to anyone looking for child care. Your child will not only feel safe, cared loved and respected, they will also bring home new learnings to share with you. Before moving to Arizona, we had Lj as our baby sitter for 2 years. Our son, Nathan, loves Lj, he’s always happy and excited whenever its time for us to drop him off at Lj’s place or whenever Lj comes to our house to baby sit him. Lj is extremely patient and displays so much passion and love for kids, that’s why we never get worried when we leave our son in Lj’s care. It was such a huge relief when I met Lj back in December 2011, she made my weekdays sane and on track because I have her to take care of my daughter who was then 2.5 years old. I had Lj for couple of years as Sofia’s baby sitter until she started going to school middle of this year. Sofia learned so many things from Lj, from ABCs, 123s, reading, writing, including social graces. Now that she’s starting her own home daycare, I would definitely recommend Lj to take care of your little ones. my fiance and I were just happy that we had Lj to baby sit our eldest son, Jacob couple years ago. Lj is very caring, loving and very passionate with children. She is a natural. 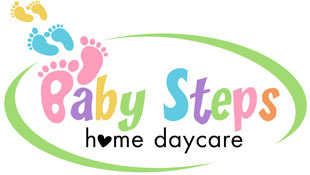 Any parents or children will be lucky to have Lj as their baby sitter or child care provider now that she has started to do her own home daycare business. This review is a long time coming, but I just have to say LJ is super awesome! Being so far away now after moving, we are sad that LJ couldn’t watch our two boys anymore! LJ is loving and caring, shows a lot of motherly affection to the kids, and outside my wife, she is super patient too! She also had many activities lined up for them, so that they aren’t just sitting around watching TV or playing with toys all day. She also assisted in potty training for my youngest toddler, and answered all our questions and made sure her care was in line with our care for our kids. Baby Steps gets my full recommendation!